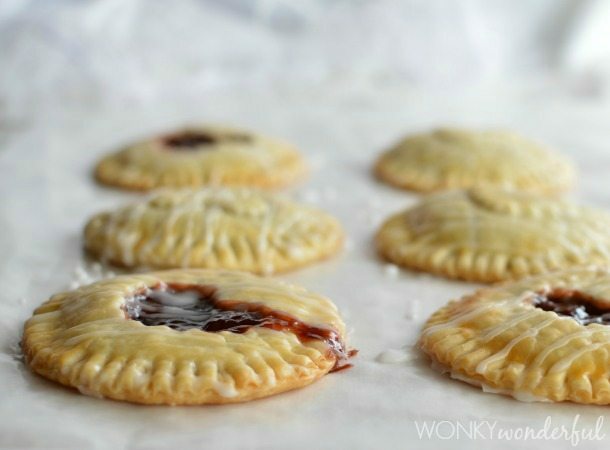 Mini hand pies filled with Nutella and Tart Cherry Preserves. 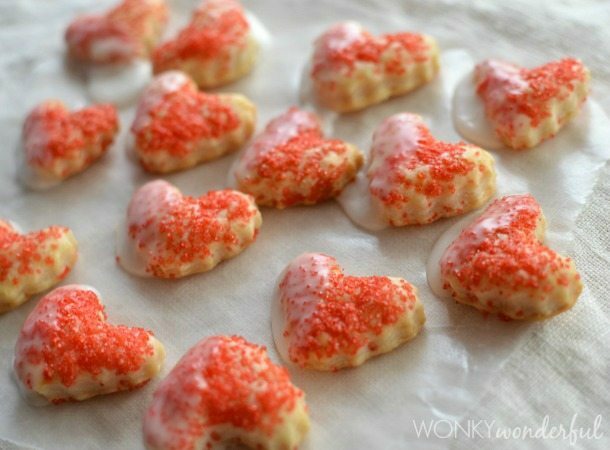 A simple and delicious Valentine’s Day dessert! Say ‘I Love You’ Sweetie Pie! 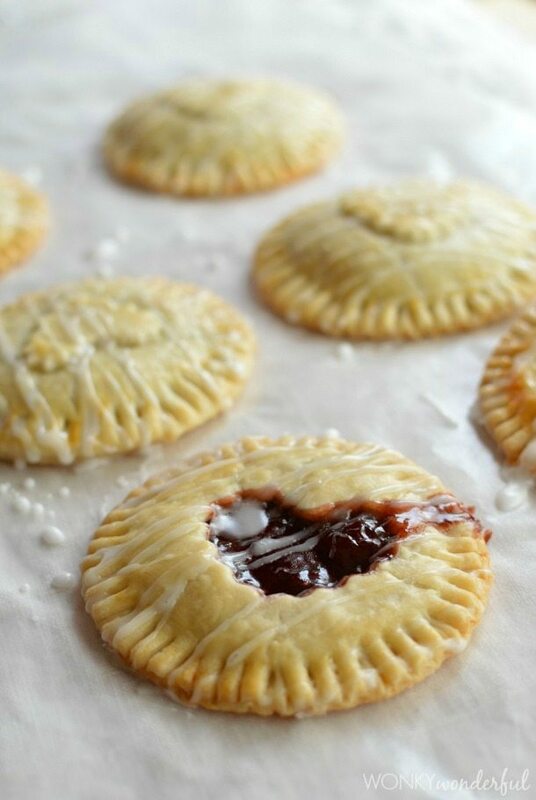 These cute little pies are so easy to make and taste amazing. I make many different flavored hand pies. But this Nutella and Tart Cherry combo is my absolute favorite! 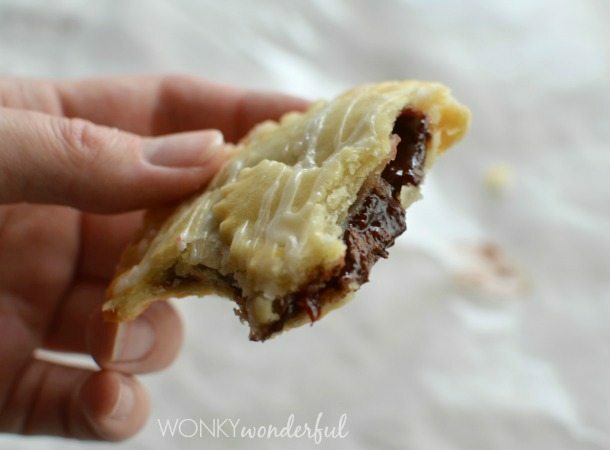 Flaky buttery Pillsbury Pie Crust filled with chocolaty Nutella and Smucker’s Tart Cherry Preserves. Top with a sugar glaze for hand pie perfection! Perfect for a Valentine’s Day dessert or as a special treat. The kiddos were grinning from ear to ear when I surprised them with these tiny pockets full of yum! Round up your favorite jam, chocolate spread and pie crust. I could eat the entire jar of Cherry Preserves and Nutella with a spoon if I let myself. Not that I have ever done that . . . but a girl can dream. 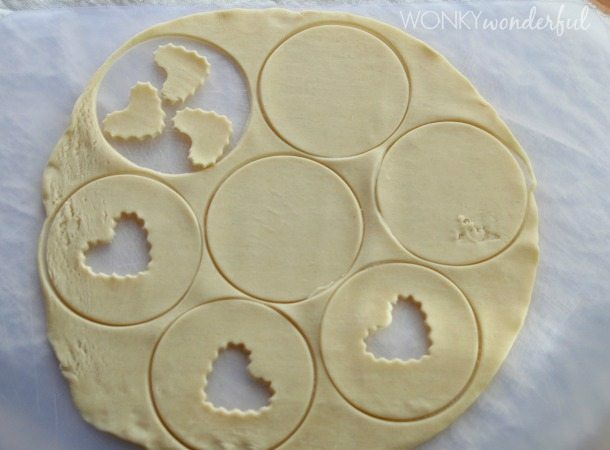 Cut the pie dough into the shapes that you want. Hearts for Valentine’s Day, of course. I made some pies with heart cutouts and saved the heart shapes to place on top of the rest of the pies. Let both pie crusts sit out at room temperature for 15 minutes. Transfer half of the circles to a greased cookie sheet. Spread about 1 tsp of Nutella on the pie crust circles that are on the cookie sheet. Do not spread all the way to the edges. Top Nutella with 1 tsp Tart Cherry Preserves. Feel free to add a little extra filling but don't go overboard or the pies will burst while cooking. Brush inside edges of the circles with the egg wash.
Top the filled crusts with the remaining pie crust circles. Use a fork to crimp and seal the edges. Brush the top of each pie with egg wash.
Bake at 350° for 10-13 minutes or until golden brown. Allow pies to cool for about 5 minutes before glazing. Add the hot water to the powdered sugar 1 tsp at a time and mix with fork. 2-3 tsp until desired consistency. 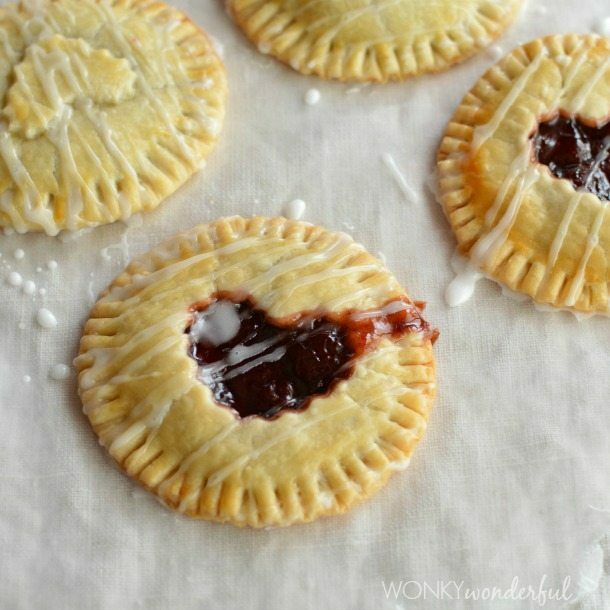 Drizzle glaze over hand pies. Check out the pie crust heart puffs I made with the extra dough scraps. Roll out the leftover pie crust. Cut into hearts. Lightly brush with egg wash. Sprinkle with sugar. 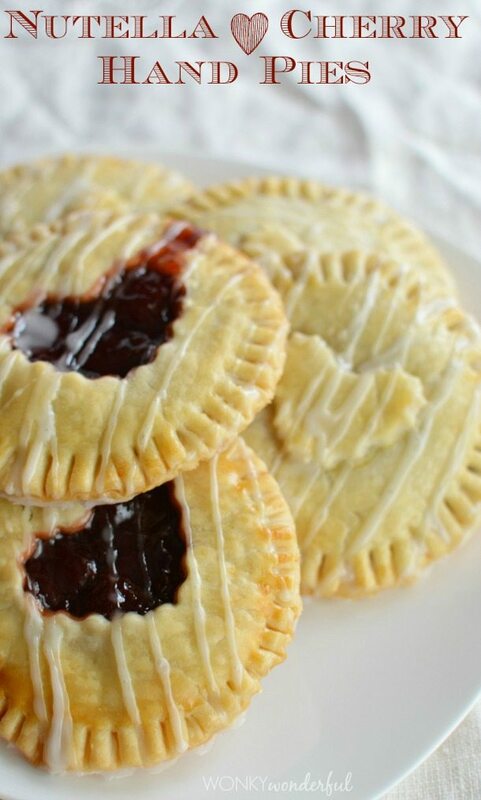 Bake with the hand pies. Dip into the leftover glaze. Eat. I love me a good handpie! Love the combo of nutella and cherry preserves! So creative!!! Thanks Chris! 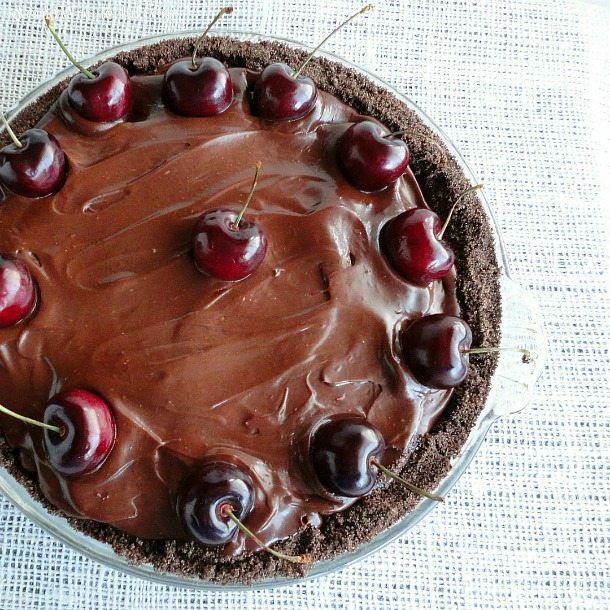 Nutella and cherry are two of my favorite things! 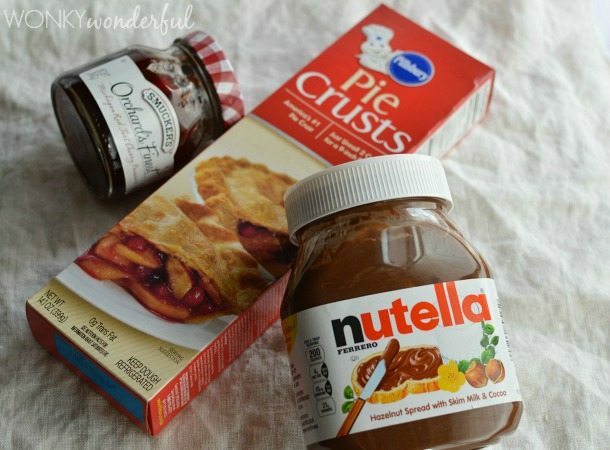 Awww….these pies look so adorable 🙂 I’m definitely making the nutella one for my daughter who os obsessed with NUTELLA! 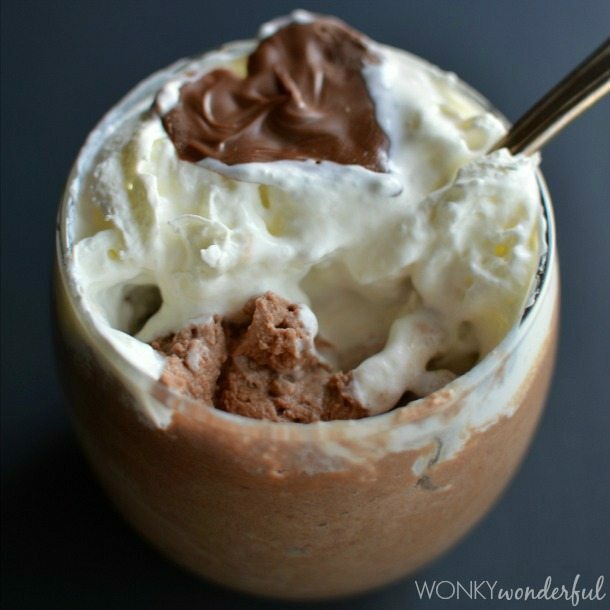 This is a simply BRILLIANT recipe! i love cherry! these look great! I love these pies Nicole! I’m thinking about making them for our Valentine’s Day party – I know everyone would love them 🙂 Pinned! Thanks Trish! A Valentine’s Day party … how fun! LOVE this! The picture is beautiful and the hand pies look yummy! Such a cute and easy idea!!! I am so going to make these today! 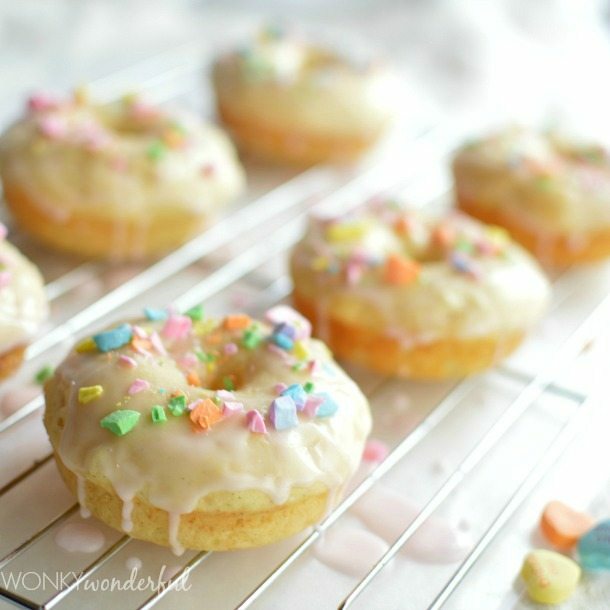 Such a simple recipe for cute and yummy treats!! Can’t wait!! Great job!! 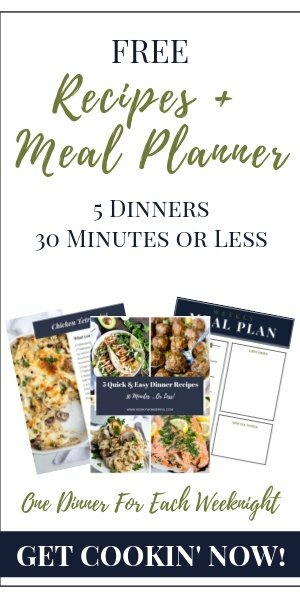 I am going to have to share this on my blog!